A single song, a line of a story, or a series of brushstrokes on a canvas, can give hope and help us remember who we are. 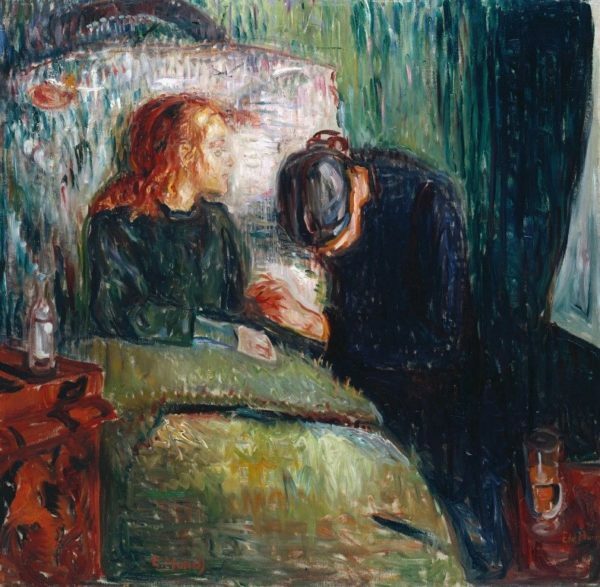 Because of this, the arts, throughout history, have been used both to help and to hurt. This is why the Nazis so stringently censored and suppressed anything that could hurt them, and in turn, put forth their own propaganda via the arts. Increased momentum behind the Nazi movement began in 1933 with the rise of Hitler, Goebbels, and other German influencers to positions of power… and it is with this rise that seemingly simple, but highly effective methods of altering culture, morality, and outlook began—via fear, manipulation, and selective medias… the arts. Yet, the Holocaust, in which millions upon millions of people around the world suffered, none more so than the Jews, was the climax of the Nazi party’s implementation of their ideals. It was their time to ‘shine.’ A time when their ideals would change the world for generations to come. The Holocaust, usually agreed to have lasted from 1939-45, which excludes six years of hardships, reforms, and small scale-murders prior, was a time of great struggle. The Nazi party, and others, such as conservative nationalists of the time, were not only against those who did not fit their ideals—from Jews, to Gypsies, to the disabled—it was against ideas, words, and expression. Specifically, the Nazi’s were against books, poems, music, and other expressive art forms that might be ‘dangerous’ to their views or were crafted by ‘less than worthy’ peoples. These ‘dangerous’ art forms were major targets of Nazi suppression. Before rising to power Hitler had been an unsuccessful painter, failing repeatedly to gain admittance to Vienna’s Academy of Fine Arts. These rejections would shape his views, even of the Jews, who he despised for being wealthy while he had spent time in a homeless shelter and on the streets in Vienna. But more so, because he believed the person responsible for his rejections was Jewish. Yet, the Nazi party was more than eager to destroy that which didn’t hold to the ‘German ideal.’ Thousands upon thousands of paintings alone were destroyed. Thousands upon thousands more of sculptures, carvings, lithographs, and other art forms meeting their end. 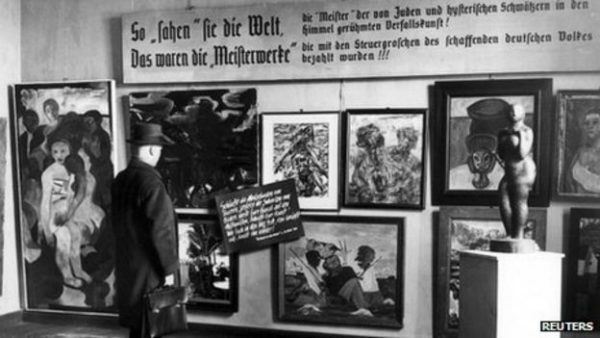 Additionally, thousands of pieces of art that were acceptable to German ideals were confiscated from Jewish and other anti-Nazi homes to not only fill Hitler’s museum, but more commonly, the homes of various high-ranking Nazi officials. As with artwork, books too, were often a source of destruction. Hitler and the Nazi party felt that books written by Jews, Bolsheviks, Africans, and other such sources were not only anti-Nazi, they were anti-German. 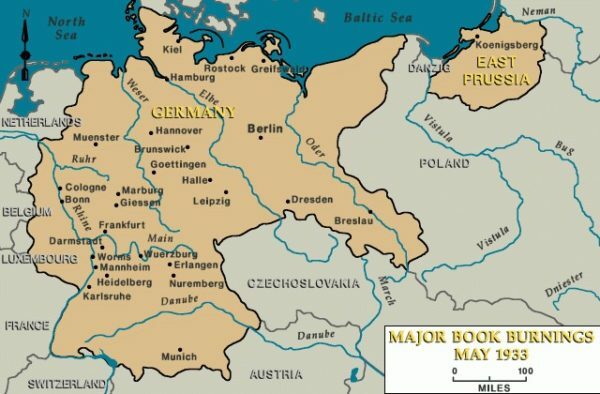 Many of these books were viewed as being against Aryan superiority and the unique German way of life… the Nazis claiming that books written by or about those who did not fit the Aryan/German ideal threatened to corrupt the German people—the young in particular—taking them away from their heritage. 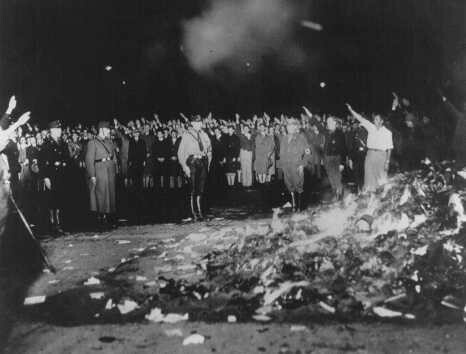 Millions of books were piled high, torn to shreds, and then set ablaze! 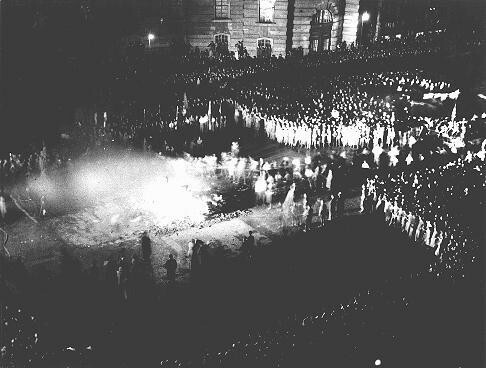 Additionally, while the burning of many books that were obviously written by a people group or of a subject the Nazis did not care for, there were many other books burned that we today, probably could not understand the reasoning behind. Consider H.G. Wells… while it was his non-fiction works that the Nazis loathed, his science fiction books such as, The Time Machine and War of the Worlds may have been selectively burned due to their author. We all have heard of Ernest Hemmingway’s, A Farewell to Arms. Yet, that book would also have been burned… as well as books by Jack London, Helen Keller, Sigmund Freud, and hundreds of other well-known authors, including the German bestseller, Thomas Mann, or the international bestselling author, Erich Maria Remarque, who wrote, All Quiet on the Western Front. If a book or author did not meet Nazi approval, then throughout Germany and beyond, those works would be destroyed, or subject to confiscation if found hidden in someone’s possession. Music, another heavily focused art in Germany—while not so easily stolen or destroyed—was a sore topic for the Nazi party. Many famous classical composers such as, Mozart, Wagner, Bach, Beethoven, and Schubert, were German, and while most had died long before the party was in being, the Nazis were swift to view music as one of the heights of ‘German ingenuity.’ Because of this and the radical way that music was changing, there was a great fear of music and its power. Jazz, for instance, viewed not only as anti-German, but a disgrace—a way to lure the young away from their German heritage into a commercial and degenerate world. Hitler and Goebbels were two of Germany’s strongest and powerful proponents of this view. With their influence, combined with the growth of the Nazi party, this same view quickly spread to newspapers, media, and of course, further into the consciousness of the fast-growing Nazi party. German music was not supposed to be mass market, nor was it to be crafted by Jews, Bolsheviks, Africans, Gypsies, or any other supposedly anti-German parties… and because of these views, music—even a single song—could easily fall under categories of degenerate, anti-Nazi, and anti-German origins. These media were dangerous, powerful, and the Nazis would not allow anything anti-German to remain. Even classical compositions by Jewish composers were considered anti-German and anti-Nazi. Therefore, musicians and conductors who were of the undesirables, such as the Jews, were not allowed to work. 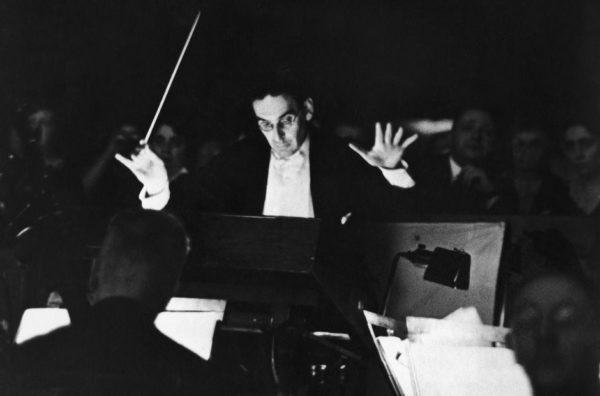 Otto Klemperer, for instance, had been a famous conductor in Germany, but being Jewish in the new world of Hitler meant he had to flee—soon becoming a conductor for Los Angeles Philharmonic Orchestra, and later, for the London Philharmonic. Therefore, music, as with many books and artwork, was an area of the arts greatly suppressed by the Nazis.